This week, the Federal Aviation Administration finally released proposed rules for Unmanned Aerial Systems (UAS) – better known to the general public as drones. Current restrictive rules – including that drone operators possess civilian pilot’s licenses and other certifications – have generated nationwide frustration for start-up and existing UAS companies that want to be able to fly drones in commercial or testing capacity. The growth of a commercial UAS industry in the United States has been minimal compared to other countries across the globe that have more quickly embraced the new technology. When these new rules go into effect, they’ll govern small unmanned aircraft of 55 pounds or less. Aimed at allowing drones to operate in the national airspace safely intermixed with manned aircraft, they’re largely favorable to commercial operators who have been waiting years for workable regulations. When Congress approved the FAA Modernization and Reform Act of 2012, it mandated that the FAA create an implementation plan for how to introduce UAS to American skies without endangering manned aircraft. The FAA selected six UAS test sites to figure out the issues associated with this blending of technologies. One was the state of Nevada, which helped spur the development of my home institution, the Nevada Advanced Autonomous Systems Innovation Center at the University of Nevada, Reno. It’s taken until now for the FAA to take the assessments of these test sites into account and release proposed rules. A UAV fitted with a camera. In the meantime, companies trying to test and commercialize these technologies have been left in limbo. Up until last December, the FAA didn’t allow any commercial exploitation of UAS aircraft at all. This restriction was softened a bit by exemptions for companies seeking commercial usage in four specific areas: agriculture, package delivery, cinematography and news gathering. This was not a blanket approval, and still requires any company desiring this exemption to apply individually with the FAA. Applying for Certificates of Authorization for UAV’s is very difficult; in my experience, at least four to six months or more, and commonly results in a denial from the FAA. A radio control model bought on Amazon is immediately subject to a ridiculous amount of FAA paperwork if you try to do anything commercial with it. The fact that you can operate the same drone following the FAA’s RC model rules, purchase your Academy of Model Aeronautics membership for $58 and fly all day long with insurance has UAS companies crying foul. Requiring a pilot’s license and an FAA Class II medical certificate to fly the same RC model aircraft in its commercial application is unfathomable by most, yet currently required. Indoor drone test flight – since outdoors is prohibited. So how are UAS commercial companies able to test and promote their products if they can’t fly them in the national airspace? Simply put, workarounds. 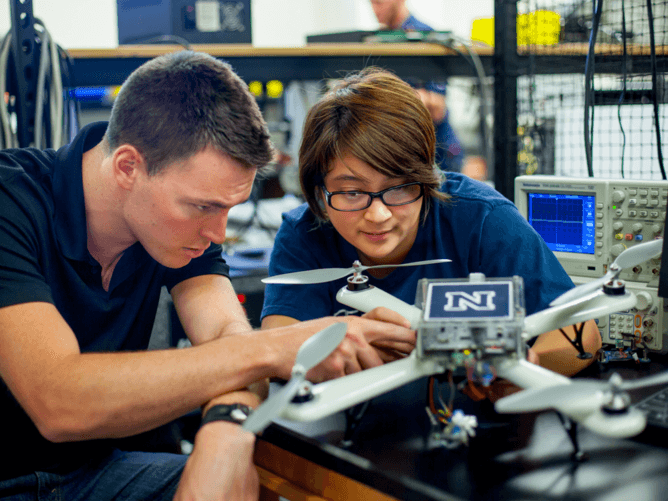 We here at University of Nevada Reno identified this problem early in the process, and opened up some of its largest buildings on campus for indoor flight testing. Some testing has also been done outdoors underneath netted areas which are not governed by FAA regulations. But large enough netted areas that can host fixed wing and rotary UAS flight operations are relatively non-existent. The University of Nevada, Reno is also in the planning stages of constructing such a facility. Unfortunately, some companies are flying in rural areas without FAA approval, betting on the fact that the FAA doesn’t have the resources to police these areas for airspace violators. The last option left to companies hurts the US economy the most: taking their businesses overseas to test their products in foreign countries that have much more lenient airspace restrictions. 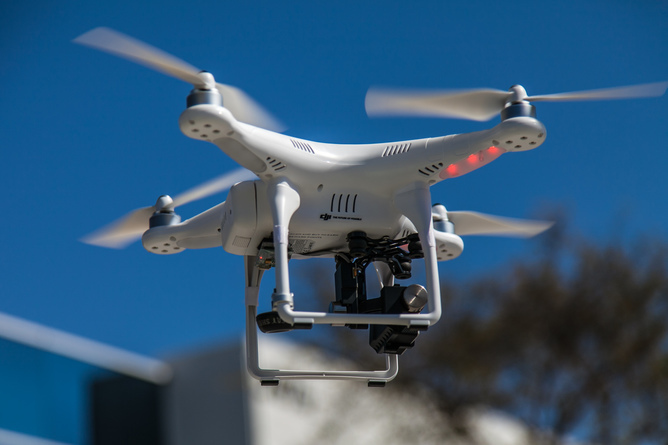 The Association for Unmanned Vehicle Systems International estimates that every day the FAA waits to approve UAS rules and regulations is nearly $30 million lost to the US economy. UNR engineering students contemplate technical options on their UAV. Most of the current major issues seem to be addressed in these new regulations. No longer will you need a pilot’s license and medical certificate to fly a 55-pound class UAS. You’ll need take an aeronautical knowledge test every two years and possess an “operator’s certificate” for the specific UAS aircraft you are flying. The rules would dictate a minimum age of 17 years – which may affect the numbers of UAVs being sold online if this restriction is somehow enforced. These rules don’t apply to hobbyists; RC modelers have their own set of FAA rules. 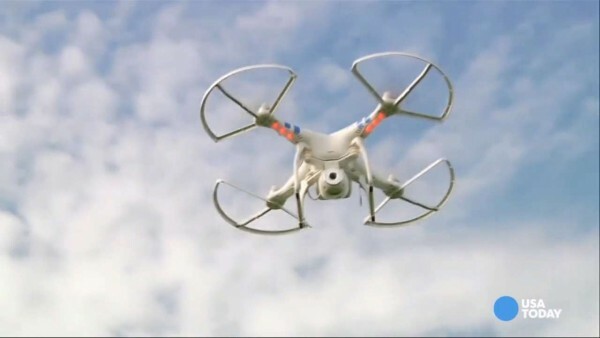 But if you use your model for money procurement, it immediately is classified as a UAS by the FAA. But there are also some big negatives associated with the proposed regulations. No autonomous flights are allowed. This means you can’t program your UAV and let it fly itself on a predetermined route or mission. The operator has to keep it in the visual line of sight at all times, and in some scenarios have a spotter. This rule thwarts what has thus far been the most productive use of UAS systems in the agriculture arena. UAS systems are already thriving in Japan, autonomously servicing crops with fertilizers and pesticides. These methods prove to be only a fraction of the cost when compared to traditional farming methods which typically use heavy tractor equipment or manned helicopters to do the same jobs. No nighttime flying is allowed, which makes sense if you can’t maintain your visual line of sight on the aircraft in the air. However, many search and rescue units already employ UAS systems with thermal cameras at night if they are trying to find missing or injured persons in remote areas, so the FAA will likely need to issue some exemptions in this category as well. 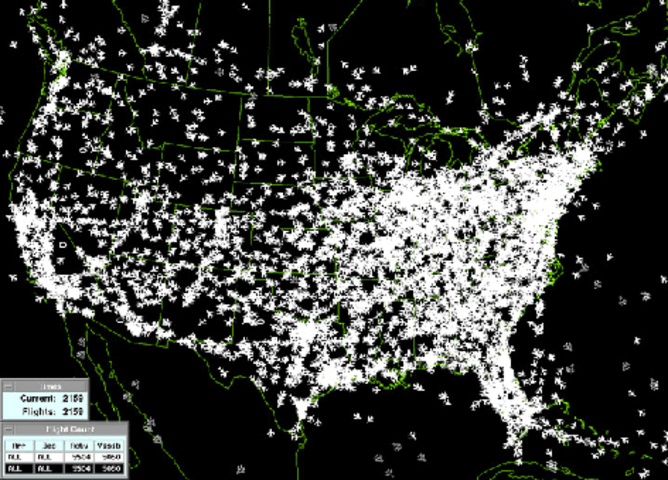 With 7,000 aircraft in the air over the US at any given time, drones are entering a crowded airspace. All in all, the newly proposed regulations are a great start by the FAA to make it all work. While it will likely be a couple of years before the proposed regs are finalized, we’re one step closer to drones becoming commonplace in the United States. From the growing of the vegetables you eat, to helping stranded hikers that need medical supplies, there will be few limits to the areas that can be supported by drone technologies.